Questions about Nadias’s coaching sessions? 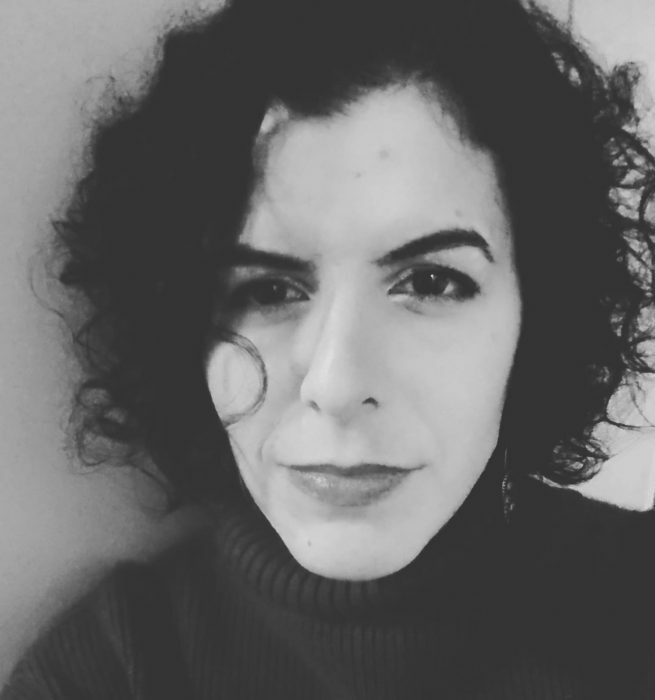 Nadia Tabbara is the founder of FADE IN: and can often be found guest lecturing in one of the FADE IN: workshops or performing at local storytelling and poetry nights around town. Over the last 5 years, she developed the FADE IN: creative methodology from researching writing tools and creative consciousness through philosophy and spirituality. She loves her job so much, she is always available to any of the FADE IN: family of writers and dreamers, even when they whatsapp her in the middle of the night with a creative crisis! She began her career in her early 20s in the Film and TV industry in New York City where she would spend 5 years on movie sets. She worked on major Hollywood films such as “Step Up 3D”, “The Adjustment Bureau” and “New York, I Love You” and popular TV shows such as “Flight of the Conchords”, “Bored to Death” and “The Good Wife”. Her life changed when her mentor Jacob Krueger (screenwriting guru) invited her to be part of a master’s class in NYC. Since then, her feature scripts have advanced in Hollywood competitions and her short films have toured and competed in several international and US-based film festivals including SXSW (South by Southwest): Austin, TX and Milano International Film Festival: Milan, Italy. In Lebanon, she received several awards in the 2013 Beirut 48 Hour Film Project including runner up film and Best Writing. She moved to Beirut in 2011 and opened FADE IN: in 2013. She has written everything and anything because she believes that whatever pushes you to put one word after the other is valuable. She recently opened the Content Department of FADE IN: where hired writers (headed by Nadia) write for film, TV and brands. Most recently, the team at FADE IN: developed and wrote a high-budget Lebanese TV show set to shoot in March 2017 and two of Nadia’s feature film scripts are in their development phase. When Nadia is not teaching or producing a project, you can find her drinking lots of coffee and hanging out with some imaginary friends.